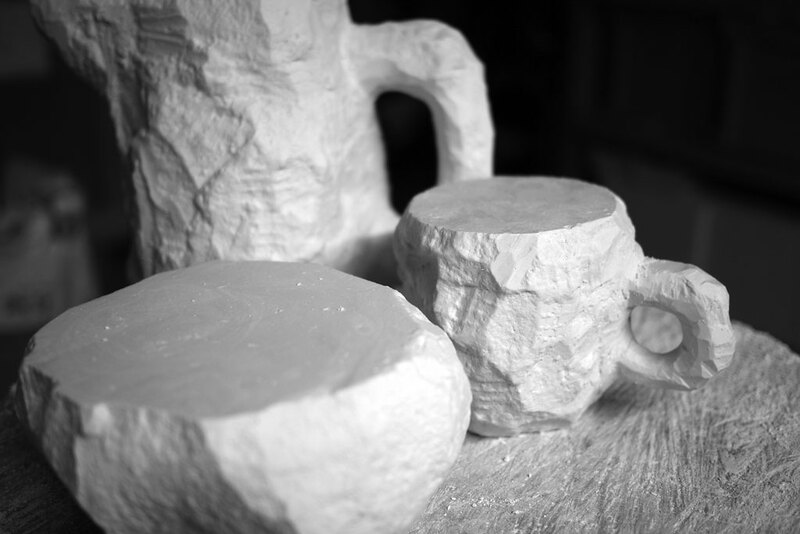 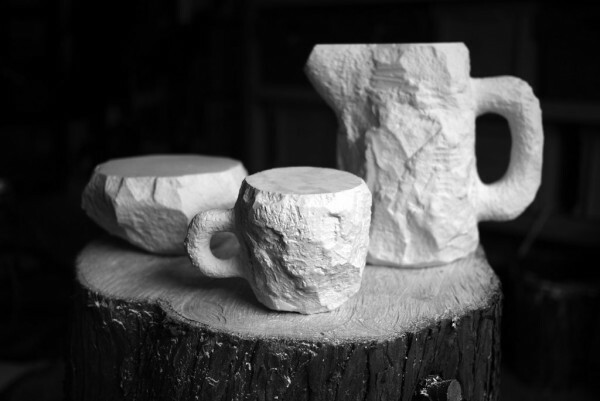 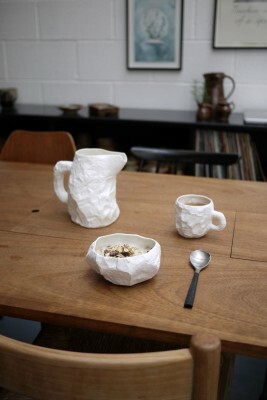 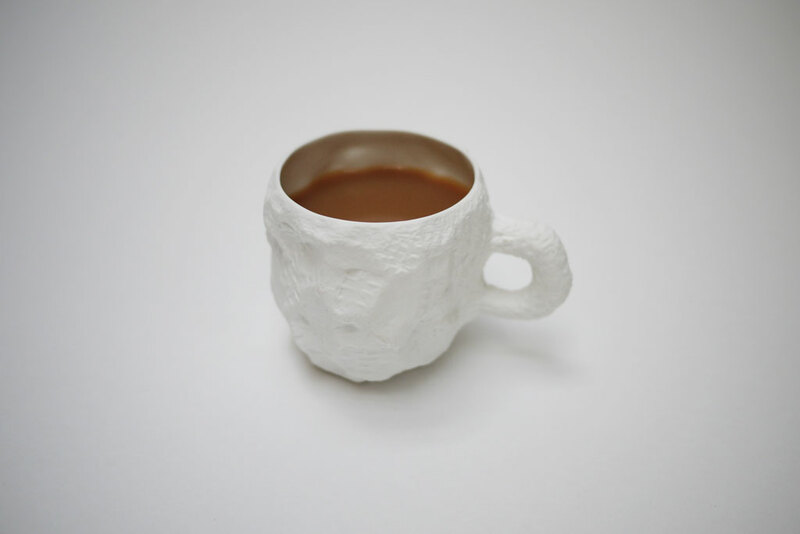 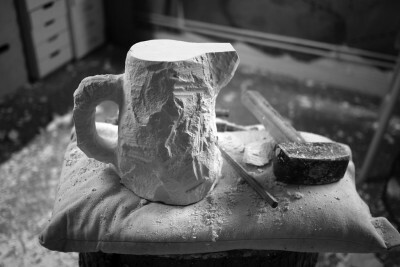 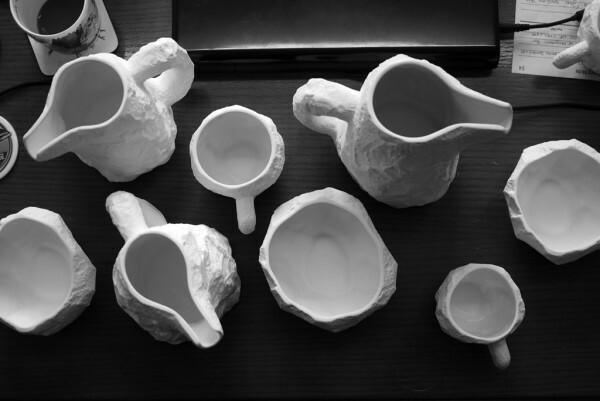 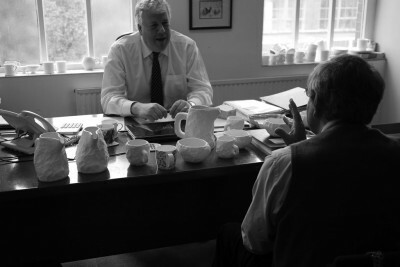 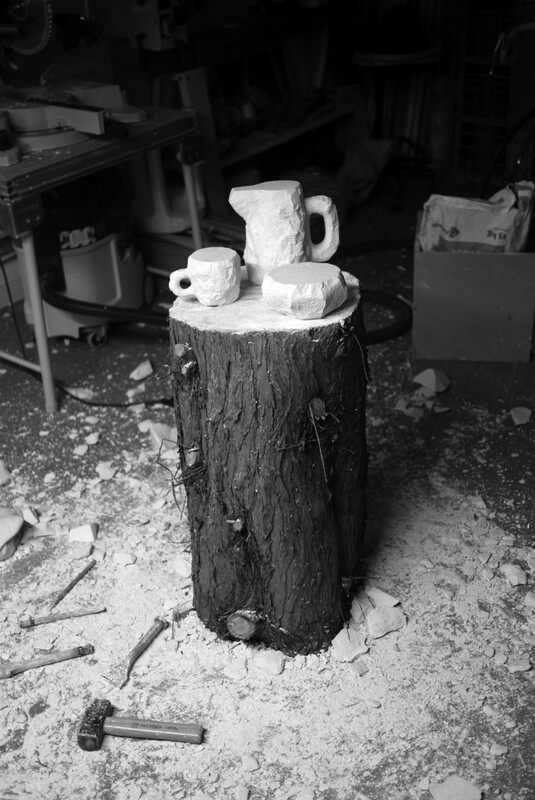 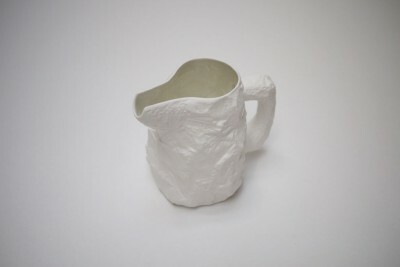 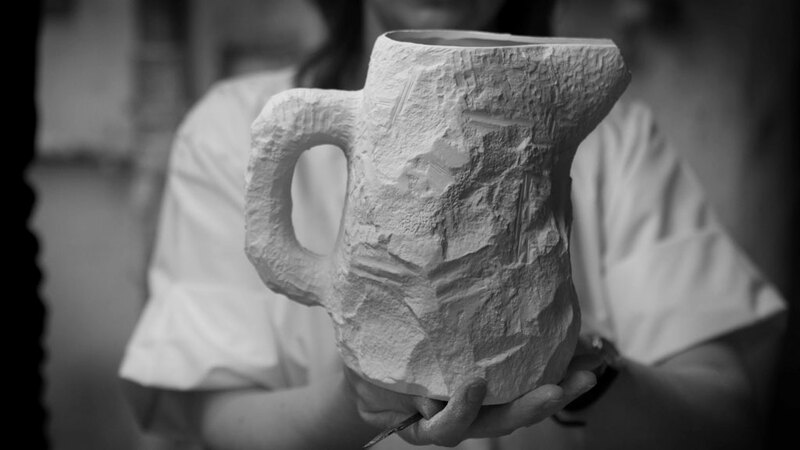 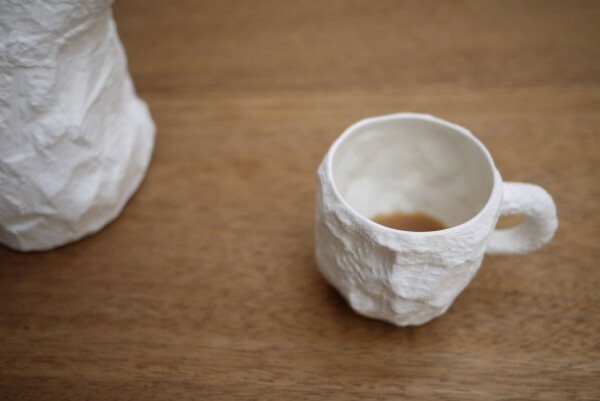 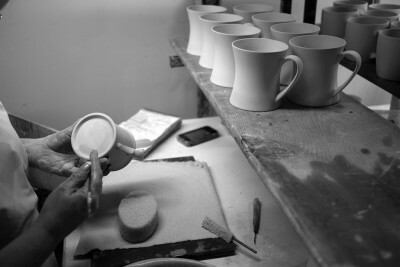 or mug, the design of each formed quite simply out of their own making. 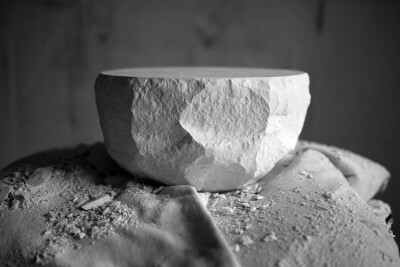 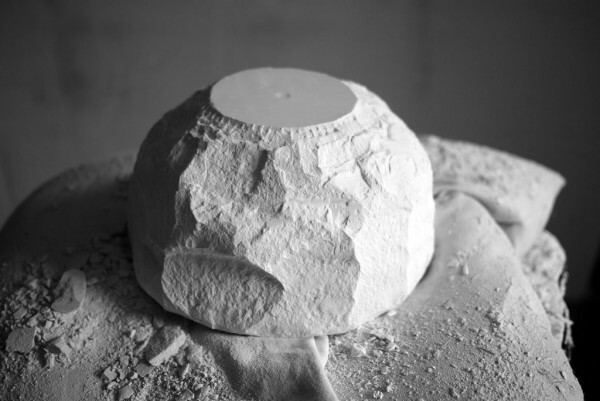 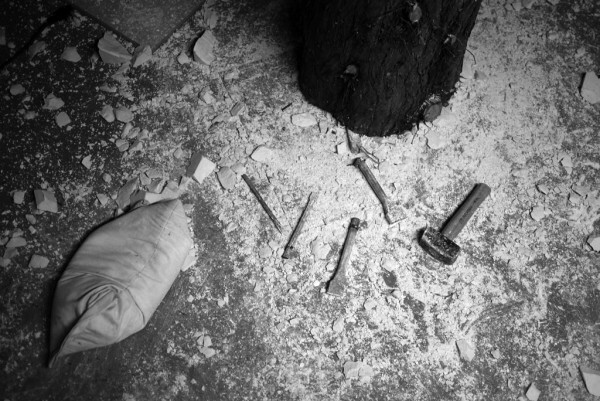 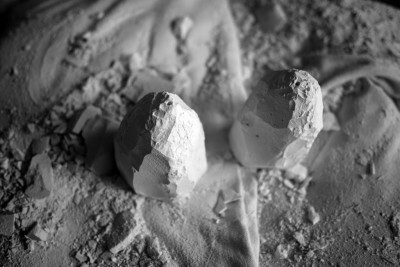 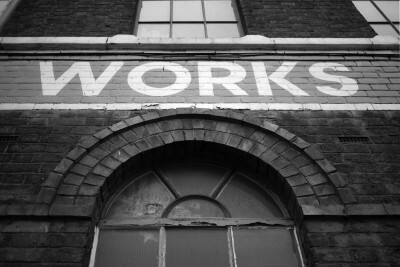 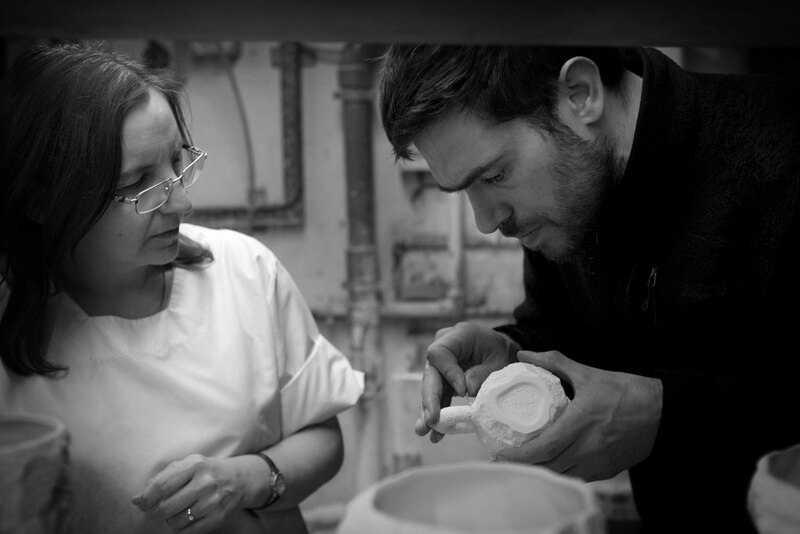 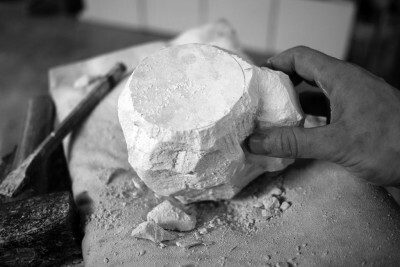 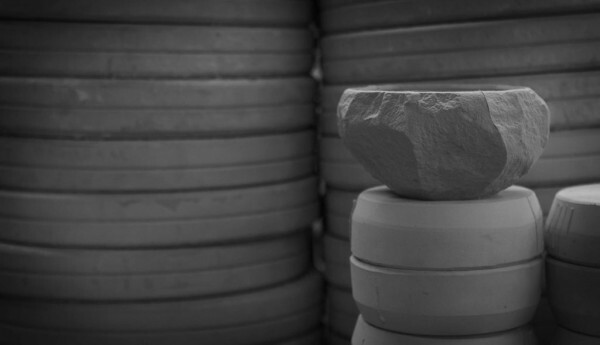 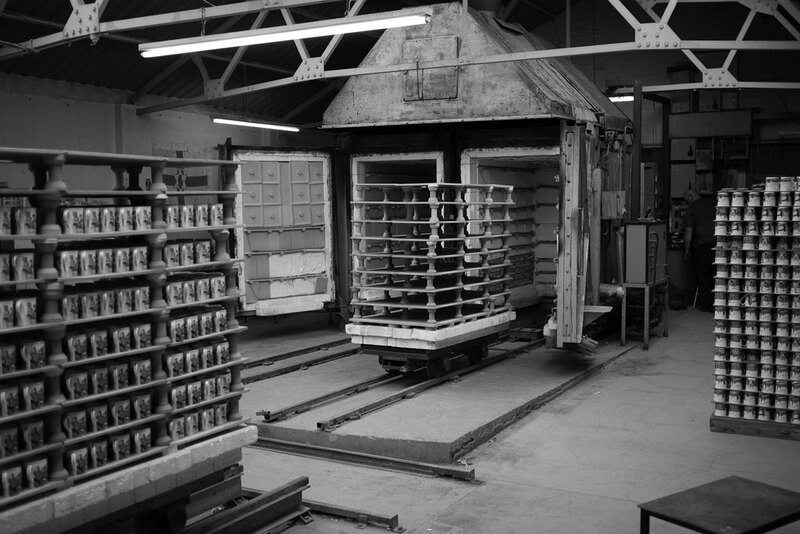 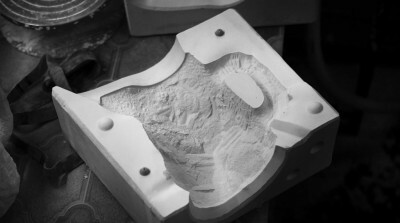 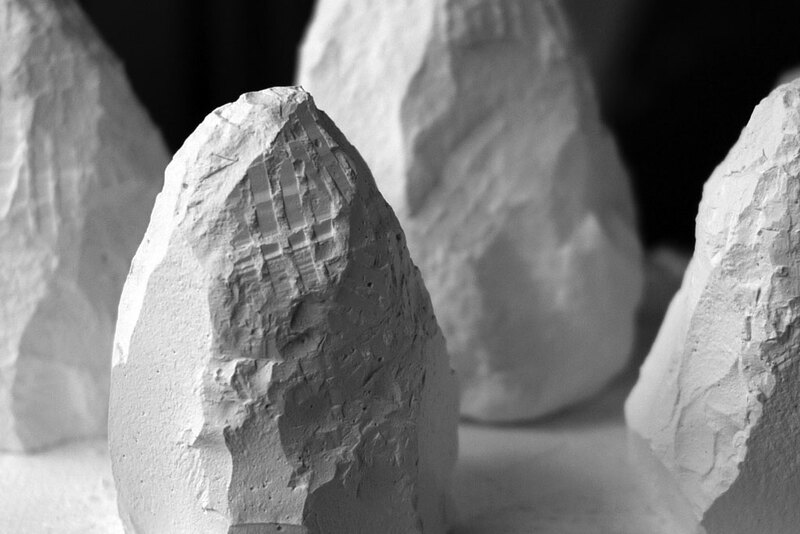 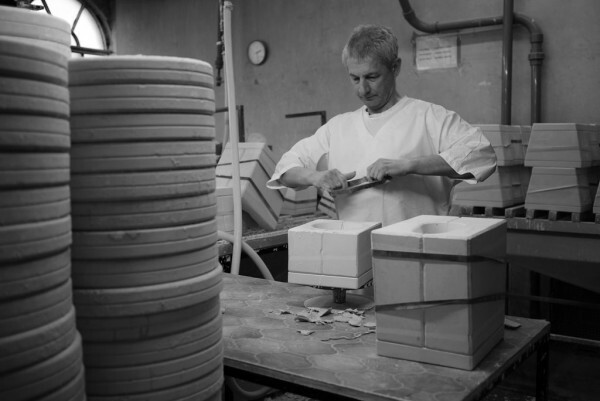 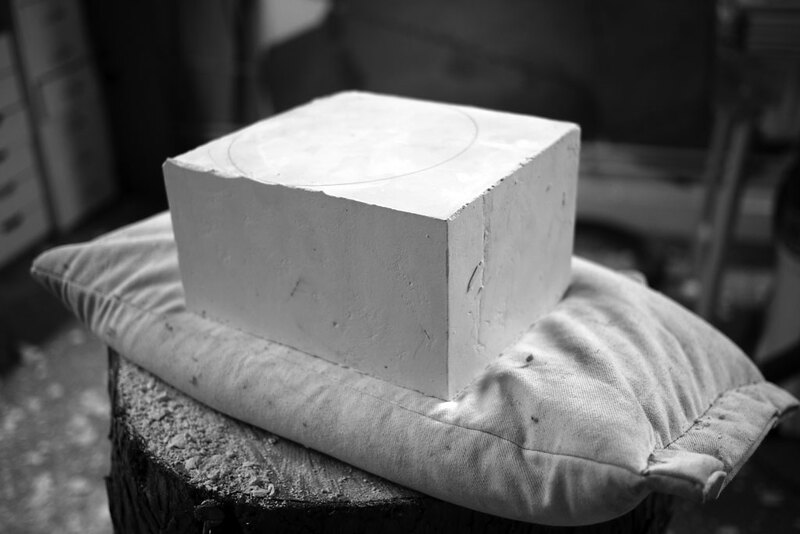 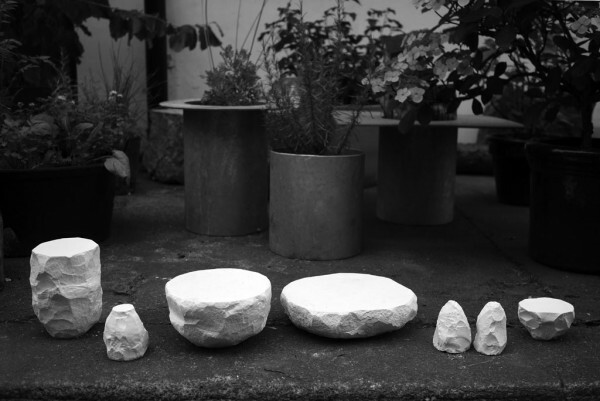 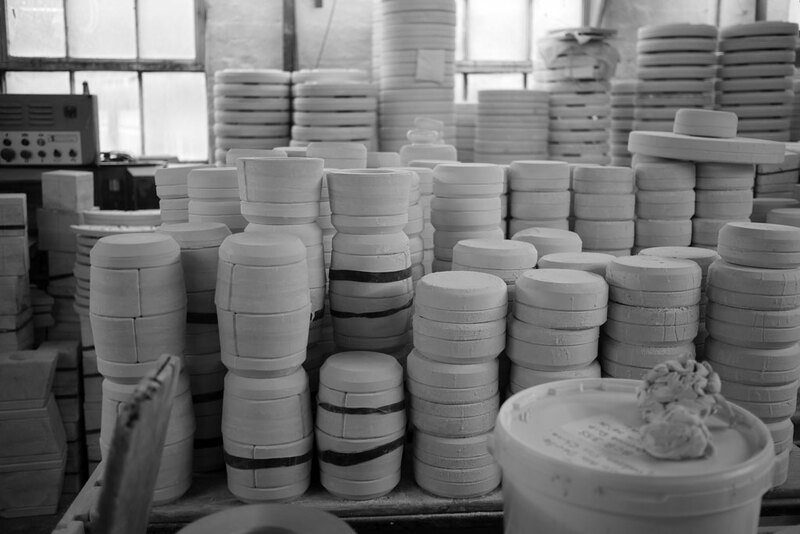 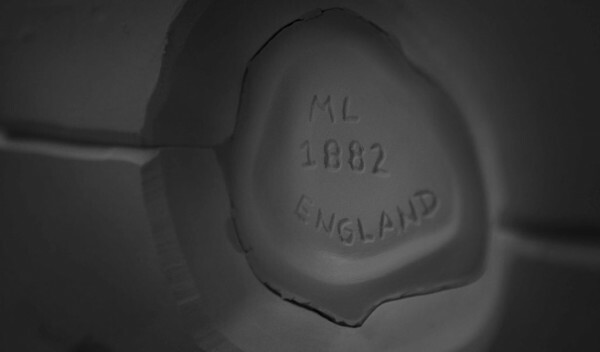 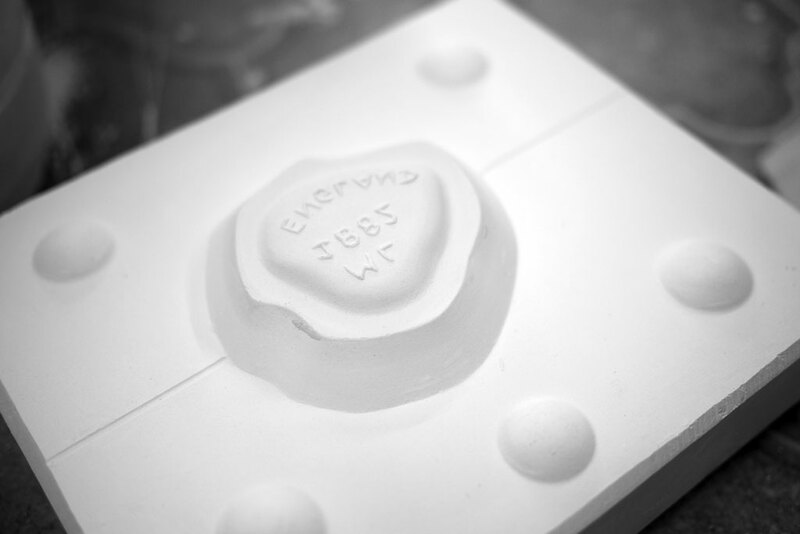 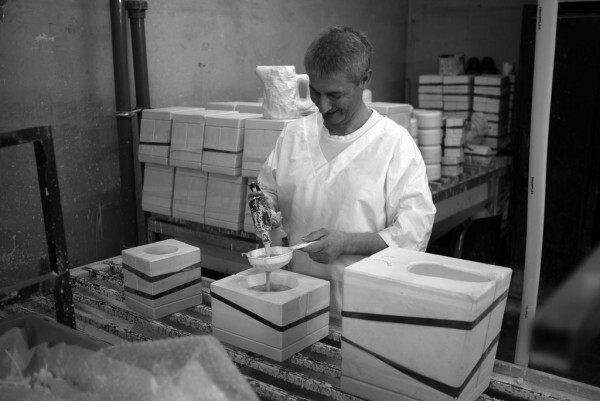 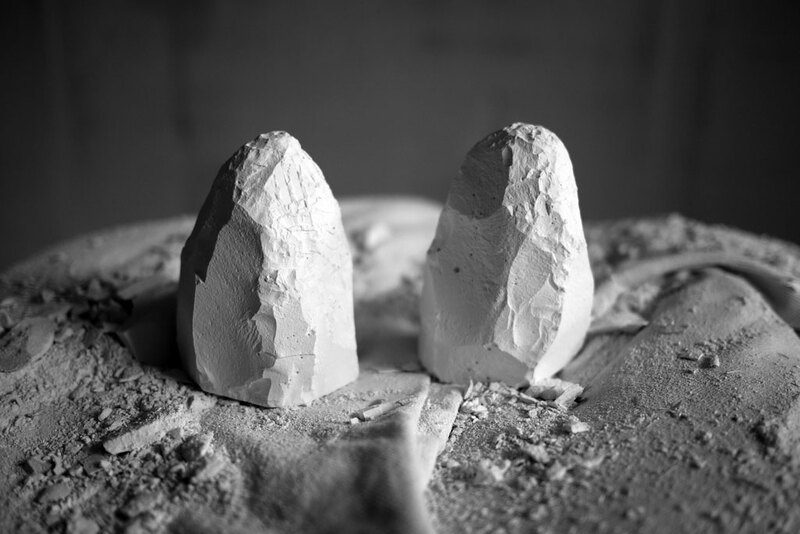 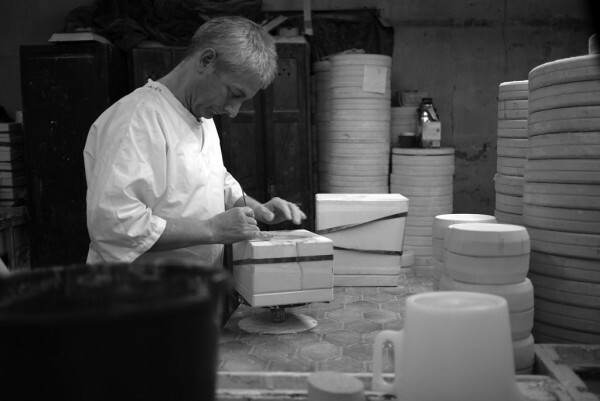 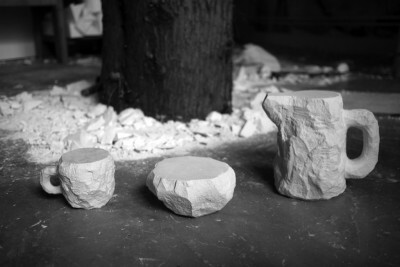 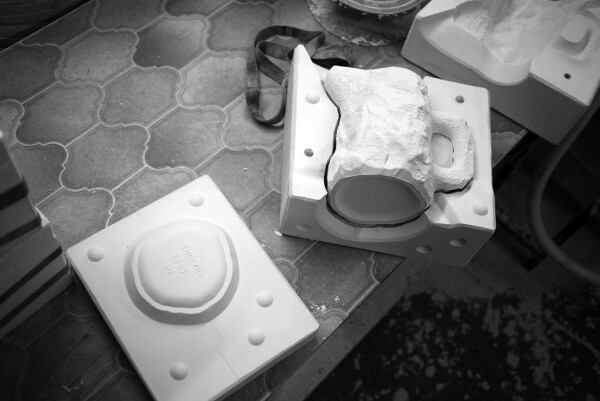 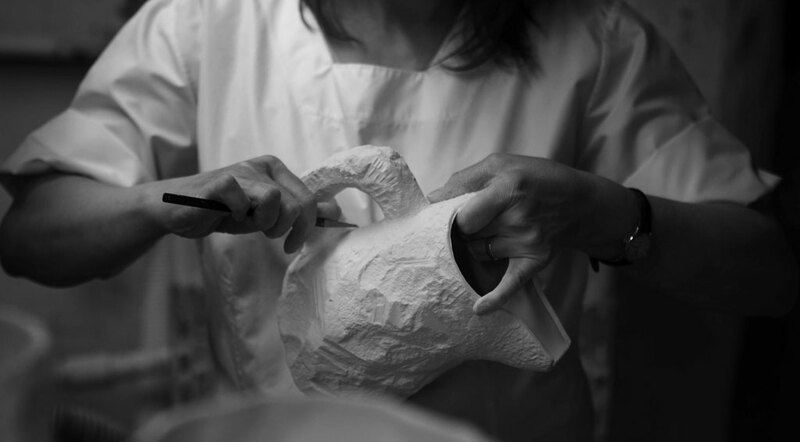 From the ‘master’ one or more plaster production moulds can be made, often consisting of three or more parts to enable the cast to be safely removed in one piece. 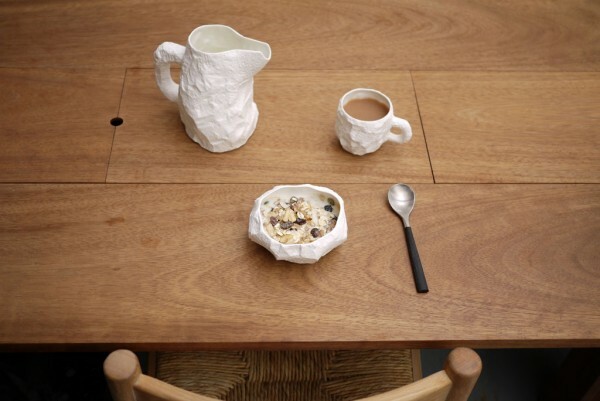 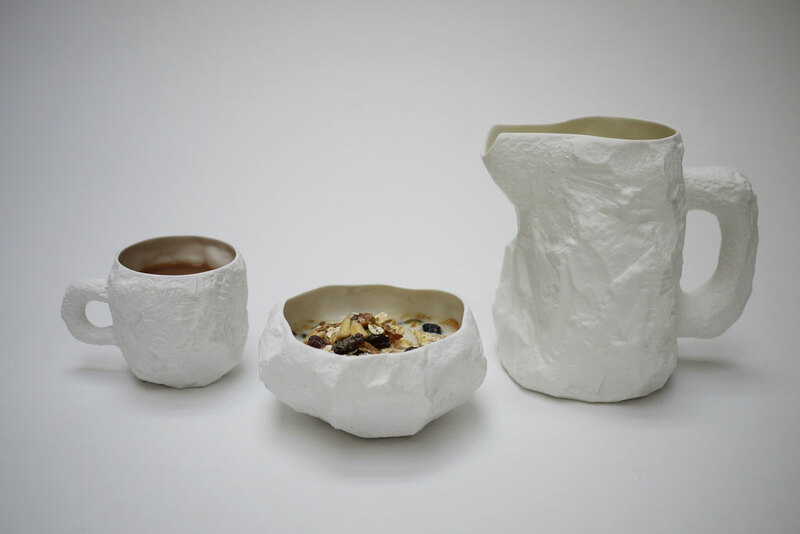 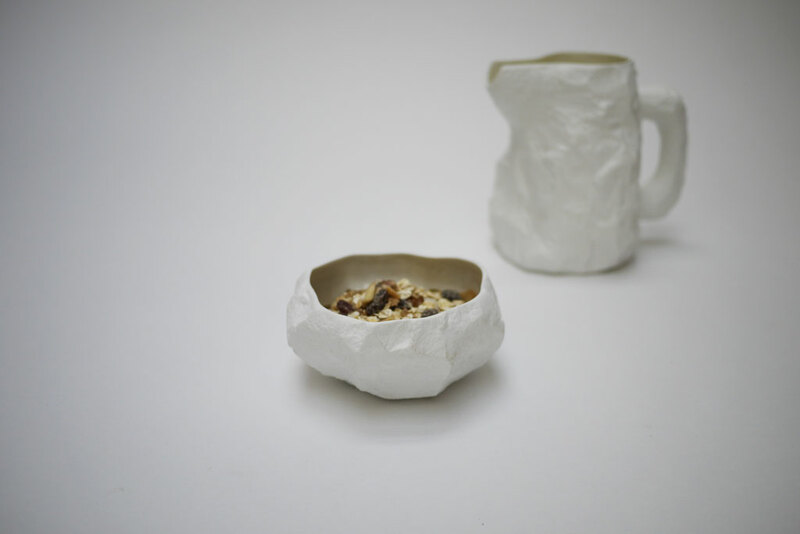 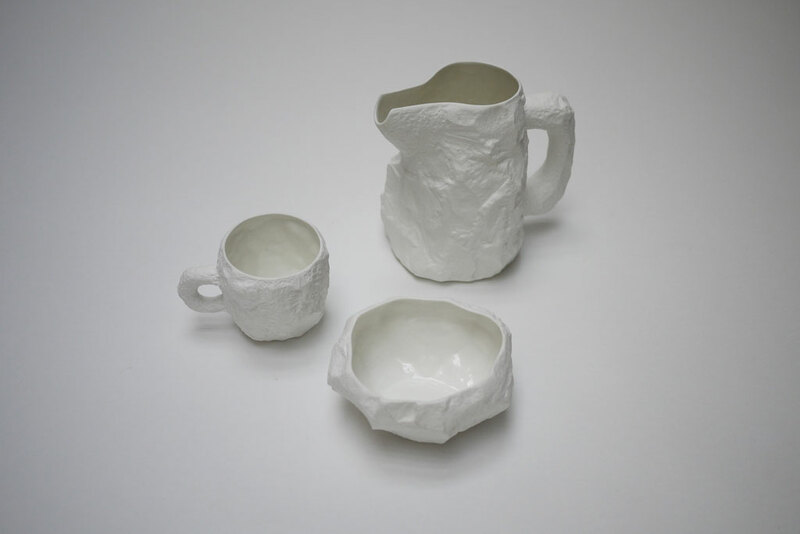 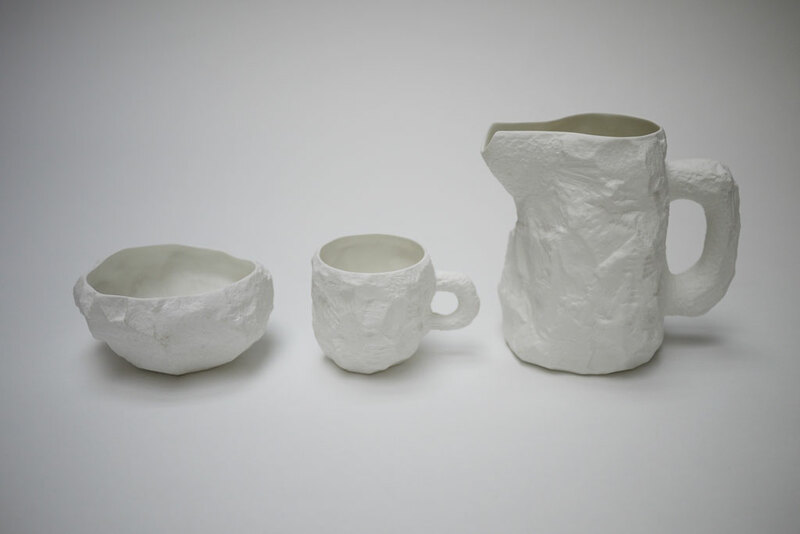 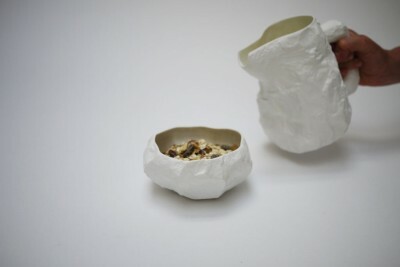 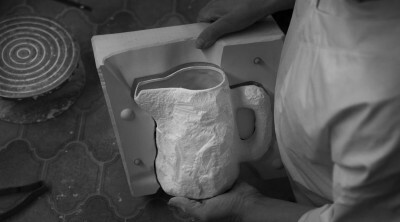 Crockery is now ready for casting in fine bone china. 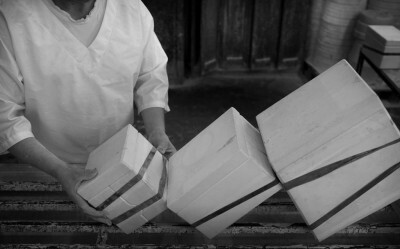 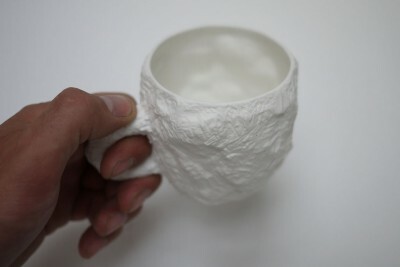 Fine bone china contains 52% calcined animal bone which gives it incredible strength and translucency, 25% china clay from Cornwall for its perfect whiteness, 3% ball clay from Devon and Dorset which provides plasticity, and a flux such as nepheline syenite or feldspar which allows the china to be fired at a lower temperature. 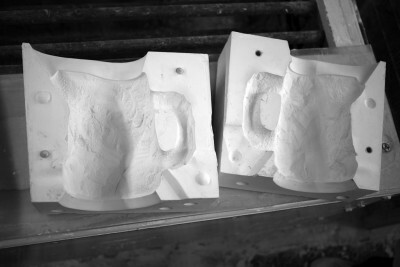 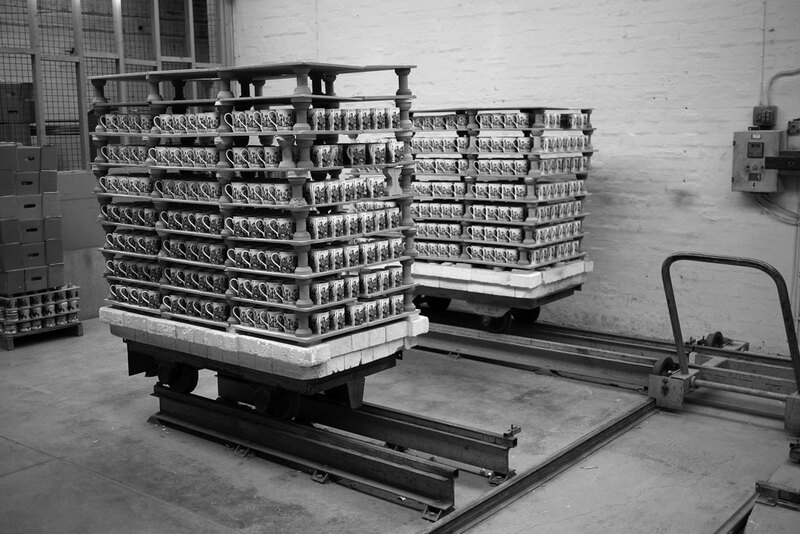 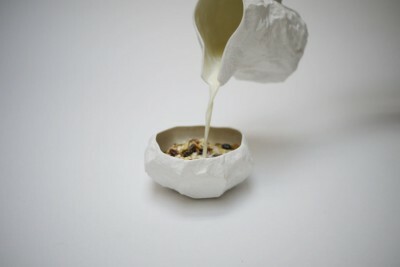 The dry materials are mixed with water in a blunger to make a liquid clay body known as slip, which is then filter pressed and put back into the blunger to gain more weight ready for casting. 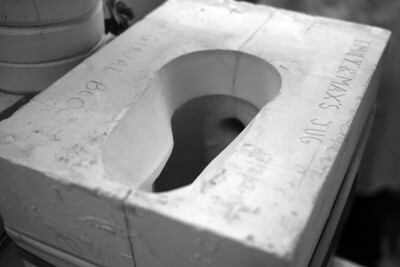 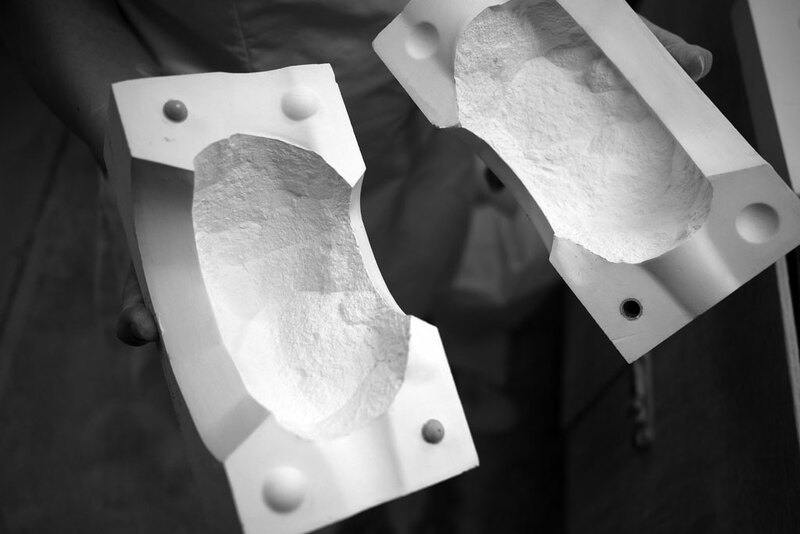 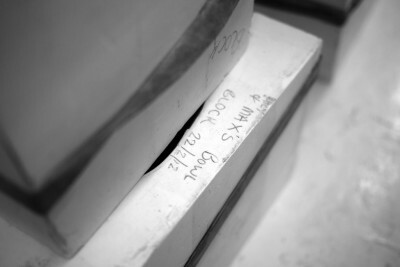 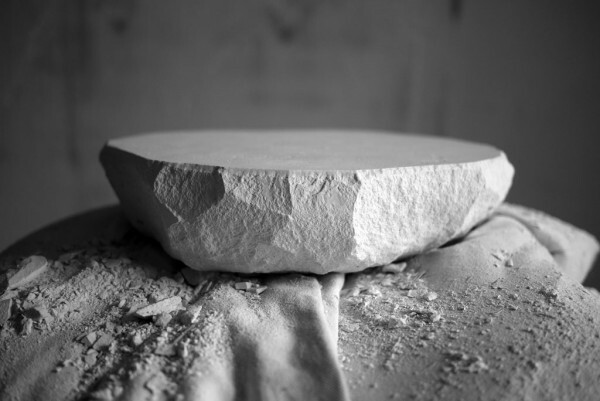 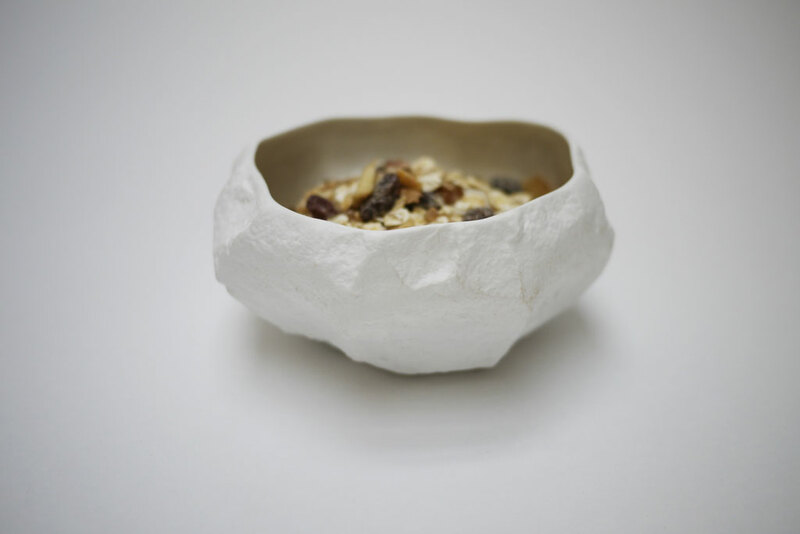 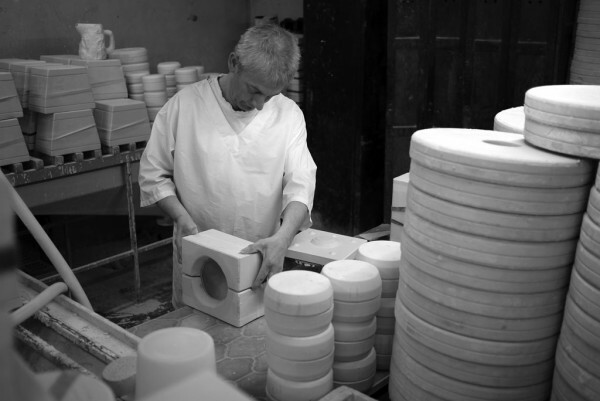 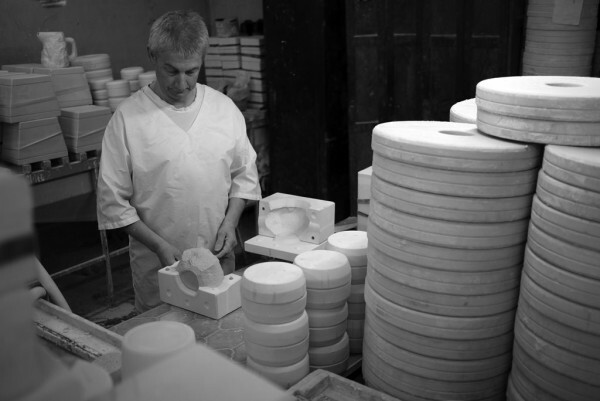 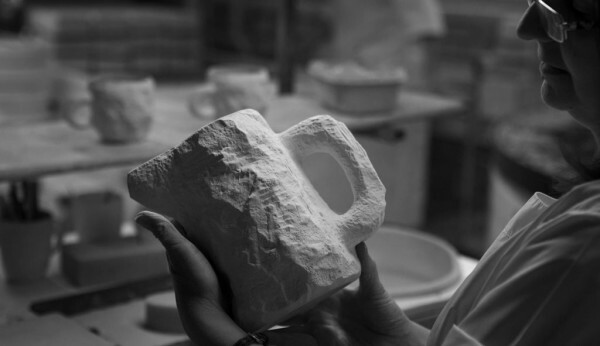 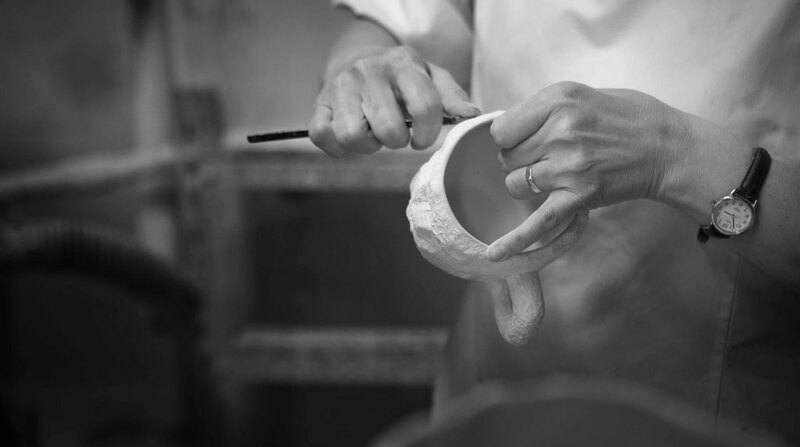 The slip is hand-poured into each of the plaster moulds and rotated or tapped to ensure no air is trapped. 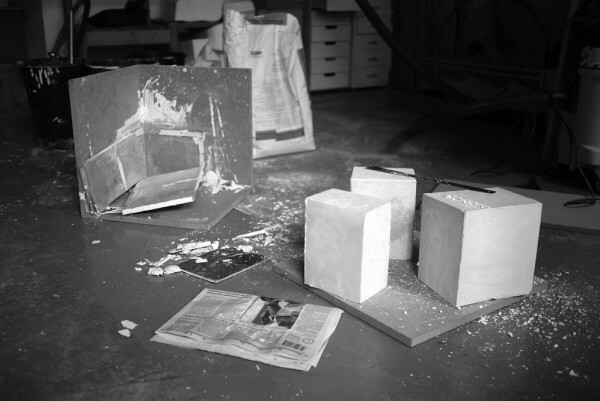 The plaster absorbs water from the slip and a layer of clay forms on the inside cavity of the mould. 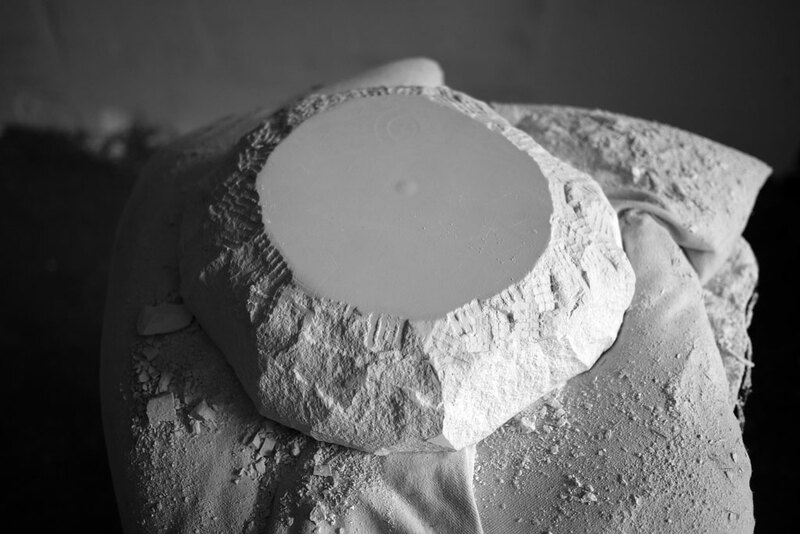 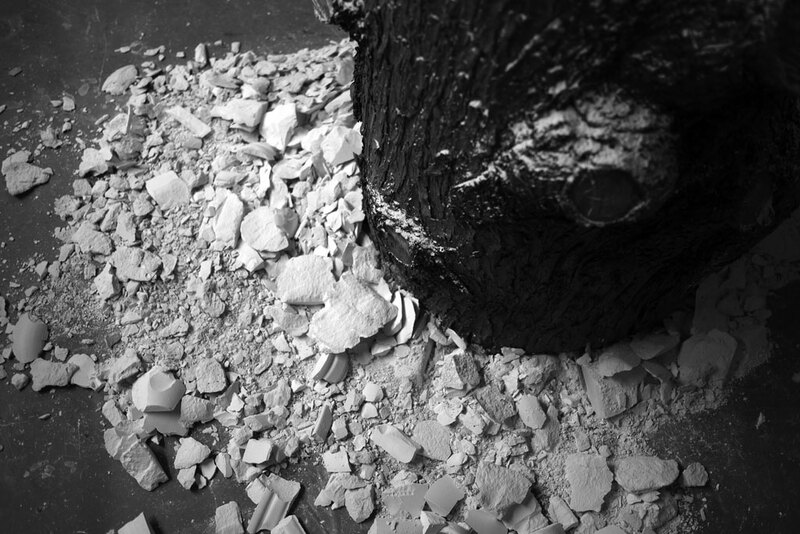 After 10-15 minutes the excess slip is poured away and the remaining clay starts to dry. 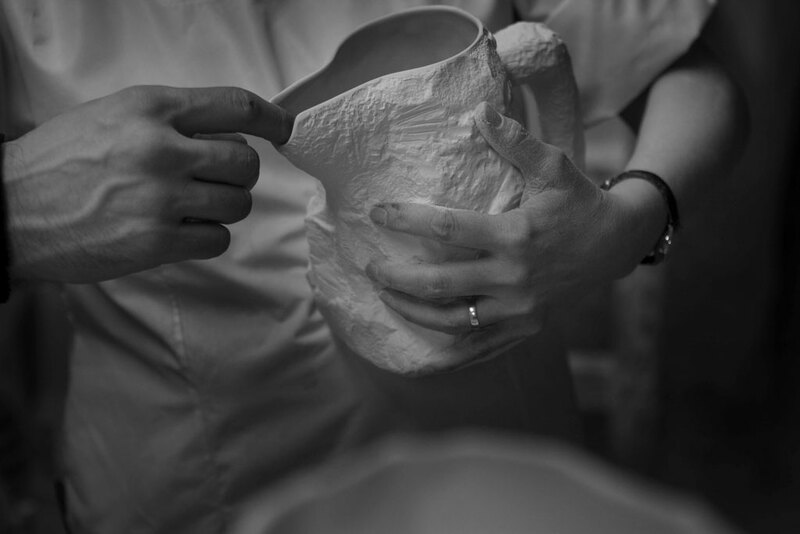 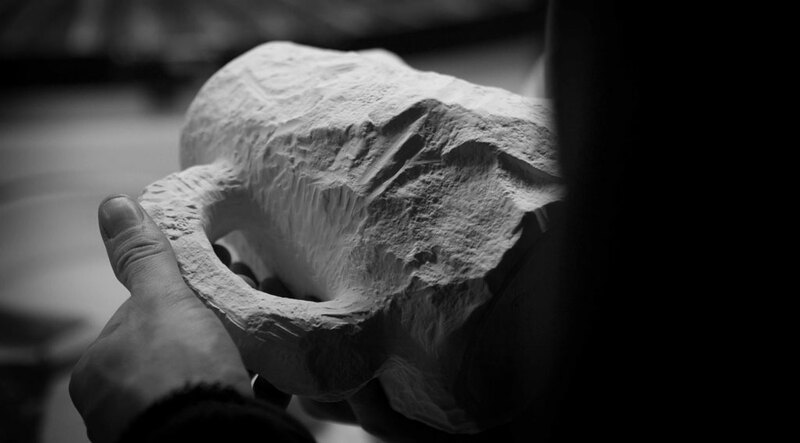 When the cast has contracted sufficiently it is carefully removed from the mould, ‘fettled’ or trimmed by hand to remove the moulding lines and left to dry naturally. 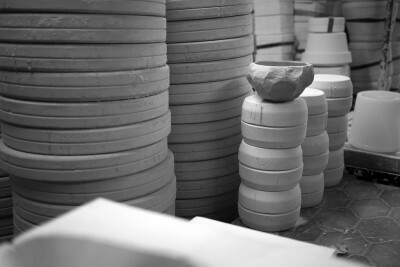 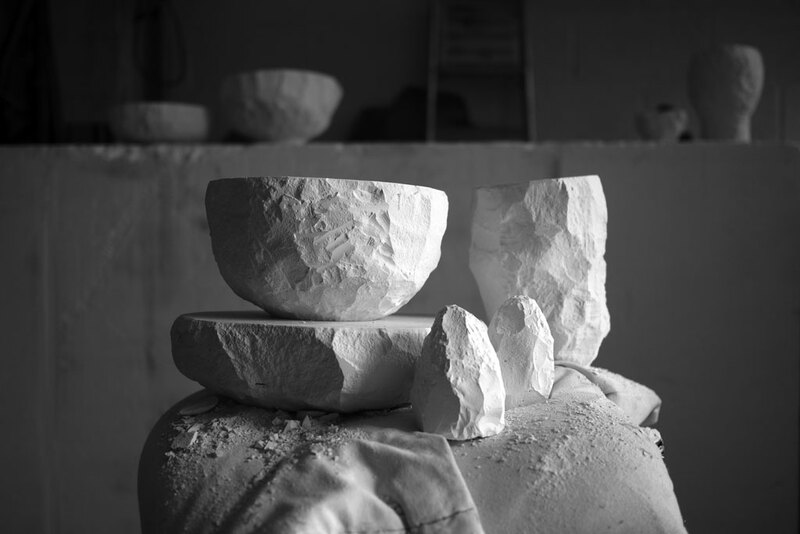 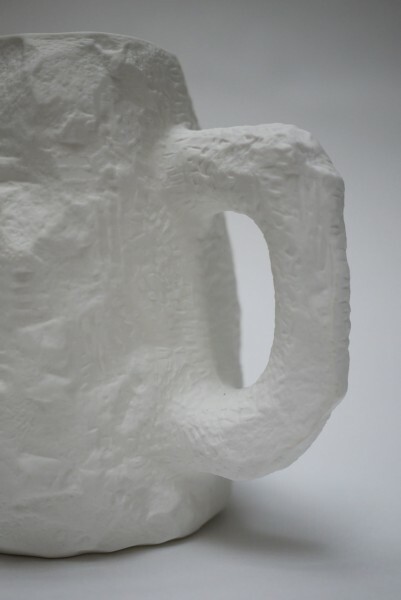 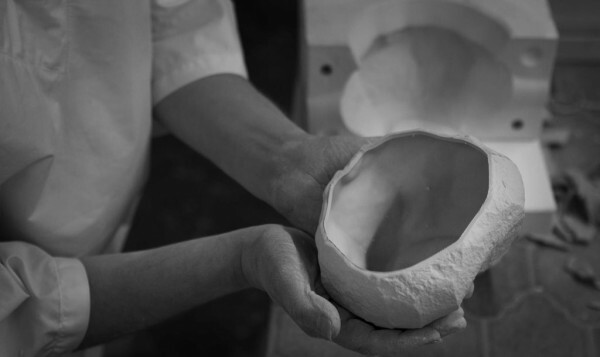 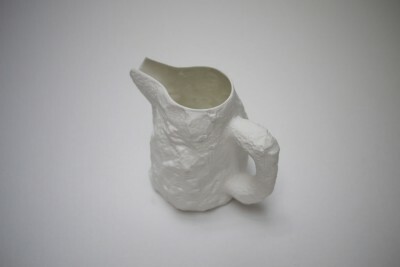 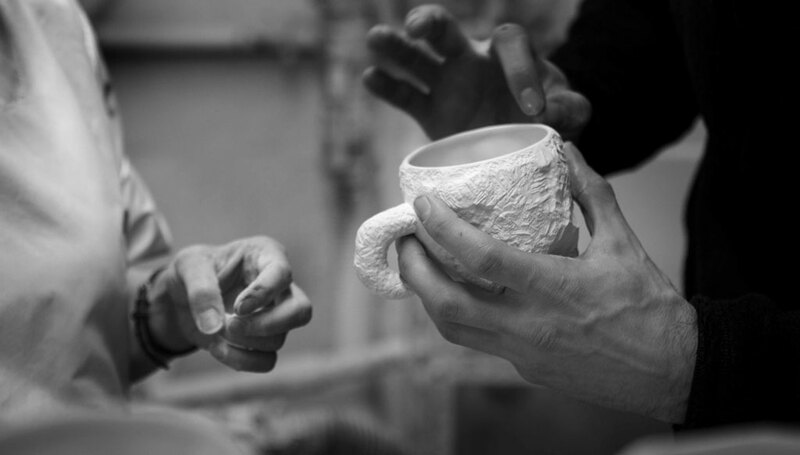 The ‘greenware’ cast is then fired on a fifteen hour cycle, reaching in excess of 1200 degrees centigrade where it is soaked at peak temperature for 30-40 minutes. 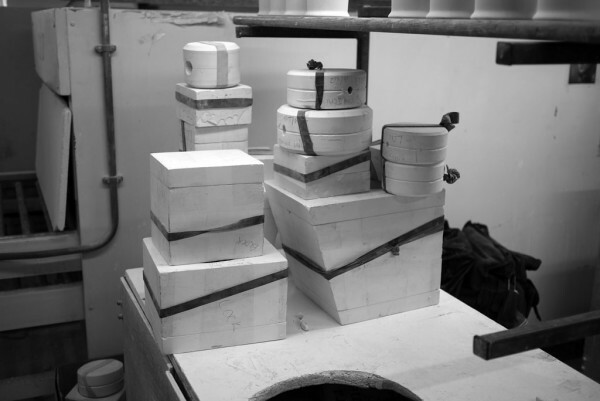 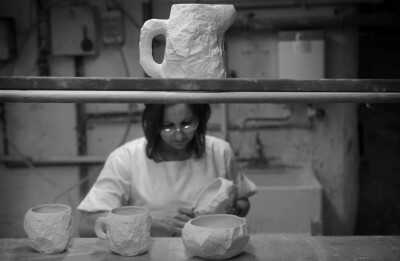 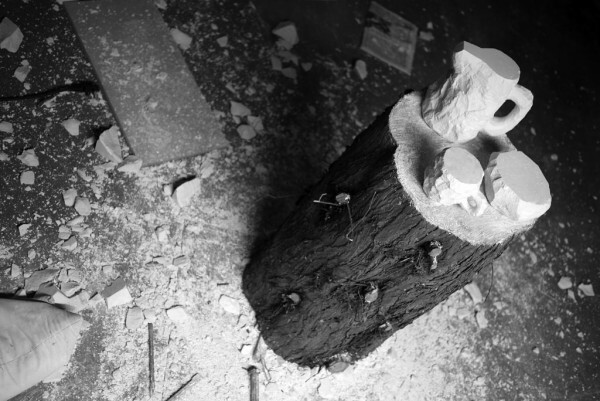 During the firing process the piece contracts a further 14%. 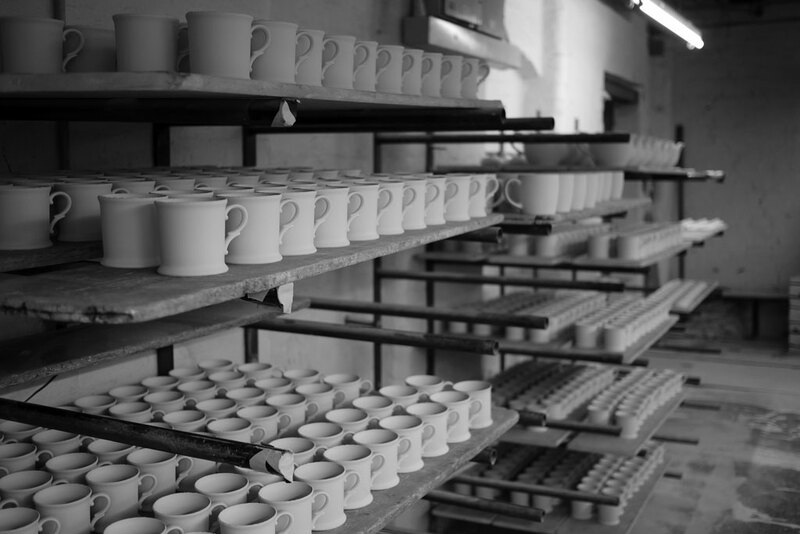 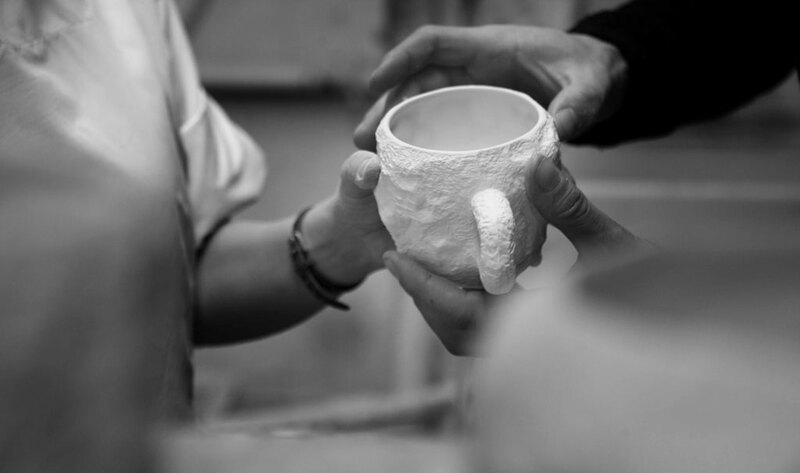 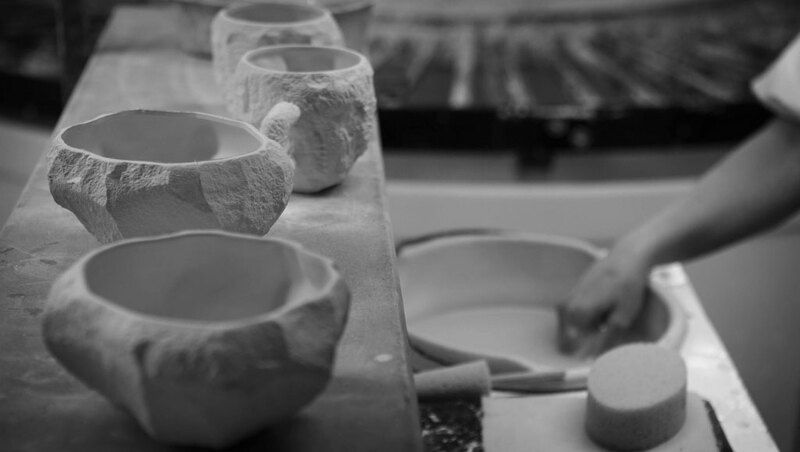 Each piece is then glazed internally and re-fired at a temperature of 1000 degrees centigrade, the exterior being left with a natural bisque finish. 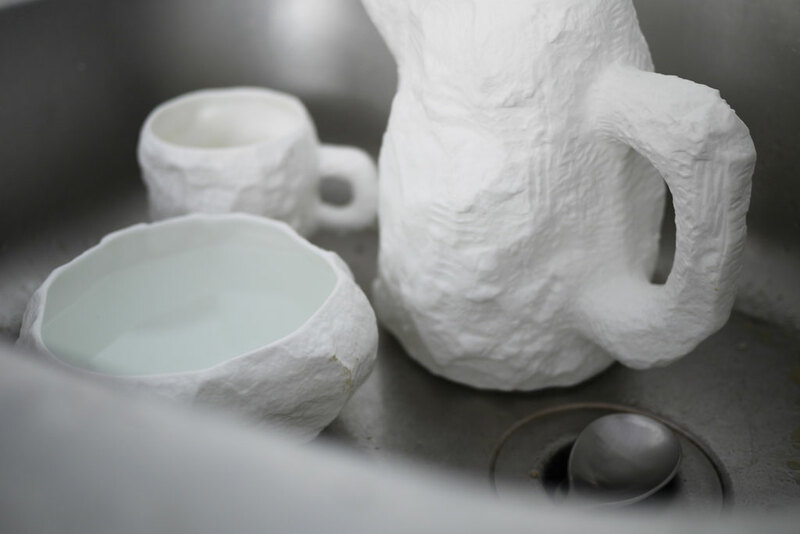 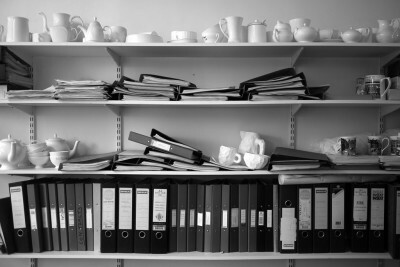 Crockery is now ready for service.